An Italian mid-century modern settee in the manner of Marco Zanuso with a shaped back and rolled arms, circa 1950. Supported on tapered brassl legs. 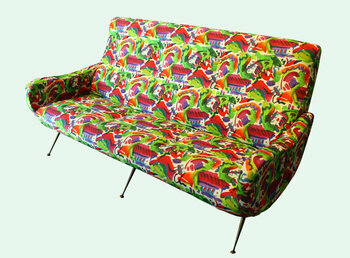 Reupholstered in Electra Eggleston's Havana Tropicana, 100% Belgian linen.